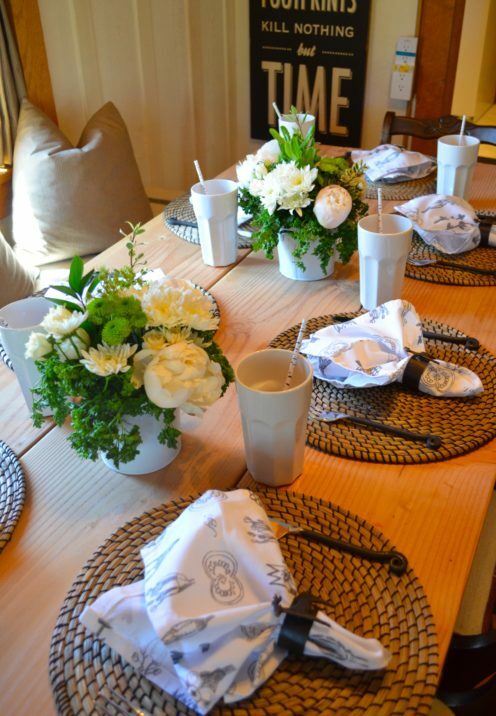 Last week you joined me in my old log cabin for my Book Club Luncheon Meeting. 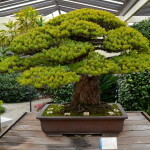 If you missed the post click here to view it. 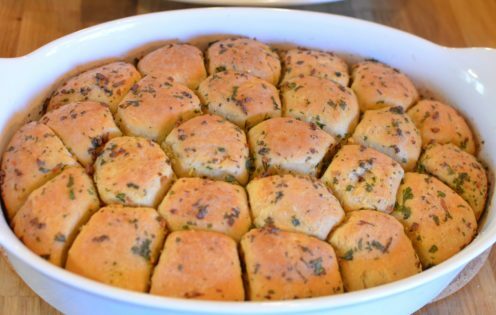 One of the things I prepared for the luncheon was a recipe for very Easy Garlic Herb Rolls. Several of you wrote and asked me for the recipe so I decided to share it with you today. 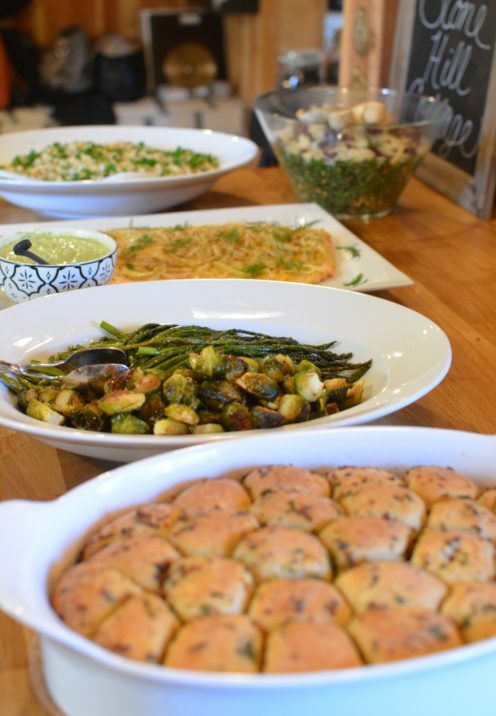 When I entertain I look for ways to uncomplicate my efforts, opting for make-ahead recipes that require less time on the day of my event. Doing so frees me up to spend more time with my guests. 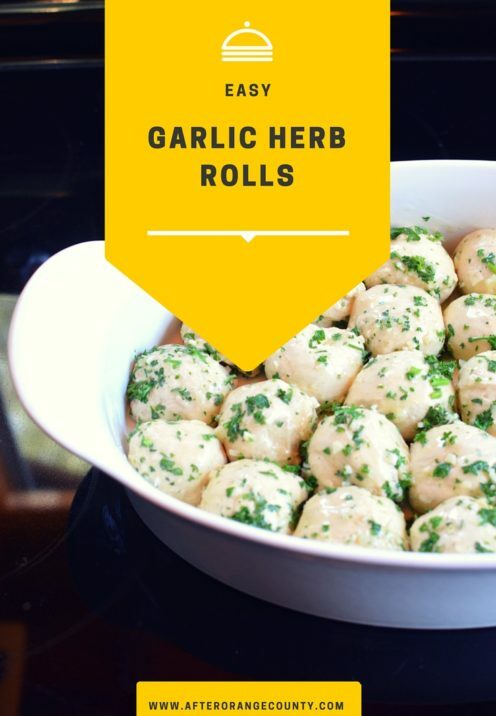 So that’s why I chose to prepare this make-ahead recipe for Easy Garlic Rolls. What makes them particularly easy is that I purchase ready made dough. I love to prepare my own bread dough and do so regularly, but making it from scratch is a bit of a time consuming process that would simply put me over the edge when I’m trying to entertain. So this time I used, of all things, Trader Joe’s Plain Pizza Dough, found in the refrigerator case. 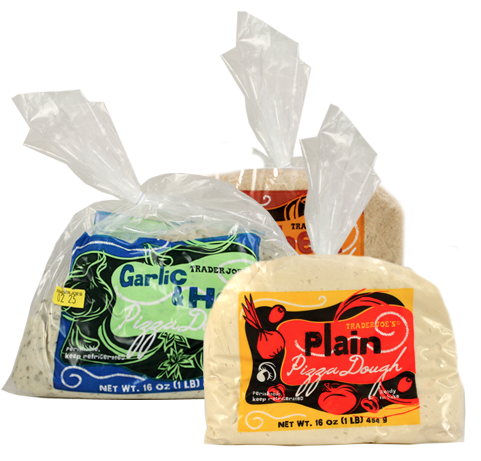 Trader Joe’s sells very good pizza dough in 3 flavors, plain, garlic herb and wheat, but for this recipe I selected the “plain” pizza dough, as I would be adding my own fresh garlic and herbs. If you don’t have a Trader Joe’s near you, ready-made pizza or bread dough can usually be found in your local grocery store, sometime fresh, otherwise in the freezer section. Either way works for this easy recipe. For my recipe I used 3, 1 lb. packages of the plain pizza dough, as I was serving 8 Book Club girlfriends. That gave me a total of 25 rolls, which as you can imagine ended up being too much for my small group, who consumed about half of them. The rest I wrapped up tightly and froze for another time, as bread freezes really well. In a small saucepan melt the butter together with the minced garlic. Remove from the heat and stir in 1/4 cup minced parsley. Remove the pizza dough from the bag and place it in a bowl. Between your thumb and index finger, pinch off a golfball sized amount of dough. Roll the dough into a uniform round ball, then dip it into the melted butter, coating all sides. 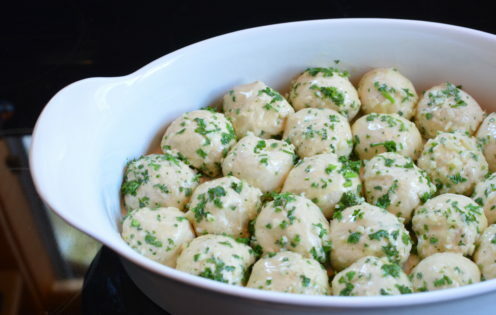 Place the dough ball into an ovenproof roasting pan. Repeat this process, nestling them closely together until you have filled the pan. Pour any remaining butter over the rolls. Cover the baking pan with plastic wrap. Since I planned to serve my rolls the next day I placed them in the refrigerator until 2 hours before I was ready to bake them. The following day I removed them from the refrigerator and set the pan aside in a warm place for about an hour to allow the dough to rise. The rolls will increase in size about 25%. Preheat your oven to 350º. Remove the plastic wrap and bake the rolls for about 35 to 45 minutes until golden brown. Sprinkle with the reserved 2 tablespoons of minced parsley. Serve warm from the oven and let your guests pull them off the loaf. I serve them with garlic butter on the side for spreading. YUM!!!! In a small saucepan melt the butter together with the minced garlic. Remove from the heat and stir in ¼ cup minced parsley, reserving the 2 T. for later. Remove the pizza dough from the bag and place it in a bowl. Between your thumb and index finger, pinch off a golfball sized amount of dough. Roll the dough into a uniform round ball, then dip it into the melted butter, coating all sides. 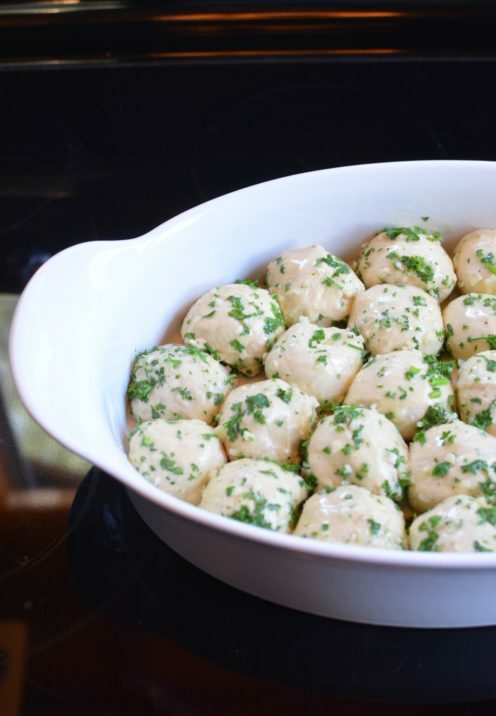 Place the dough ball into an ovenproof roasting pan. Repeat this process, nestling dough balls closely together until you have filled the pan. Cover the baking pan with plastic wrap and place in the refrigerator until 2 hours before ready to bake. This can be done up to 24 hours in advance. Two hours before desired serving time remove dough from the refrigerator. Set the pan aside in a warm place for about an hour to allow the dough to rise. The rolls with increase in size about 25%. Remove the plastic wrap and bake rolls for about 35 to 45 minutes until golden brown. Sprinkle the rolls with the remaining 2 T. of minced fresh parsley. Serve warm from the oven and let your guests pull them off the loaf. I serve them with garlic butter on the side for spreading.